Most of you who know of me will associate me as being a killifish enthusiast, this is true, and will always remain that way, but I do like, on occasion, to turn my hand to other aspects of fishkeeping. I've been on many a venture over the numerious years I've been in this amazing hobby, hell I even got salt in my mouth at one stage, but this proved to be an expensive interlude away from my beloved killifish. Whilst I enjoyed every moment of my dive into marines, I always knew I would return to freshies one day. 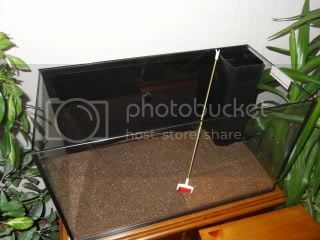 I am about to retrace my steps from the late eighties/early nineties and try to aquascape a planted aquarium from scratch. Technology has moved on a pace since those halcyon days and one has to stand and wonder at the range and diversity of aquariums on offer today. 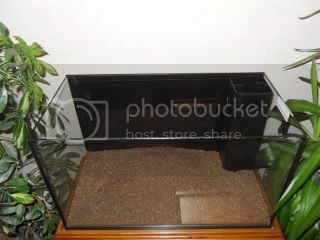 This was my old tank from the early nineties, although it did cover a lot of the basics of today's modern equivalent, it would now be considered old skool in the eyes of many a fine aquascaper on these boards. So now I'm going to endeavour to, once again dip my toes in a river venture and see where the boat ends up. I hope you will all chip in an offer up critical comments on my mistakes and failings, I am still willing to learn and who better than from Ireland's finest. Today I purchased a new tank and some bits and bobs. Not really what I was after, but finding what you need is like searching for a needle in a haystack. Problem is we are so poorly serviced by the aquatics industry up North IMHO and I usually end up paying through the nose for postal items from the UK. Anyhow I took what I could get to let me make some kind of a start. 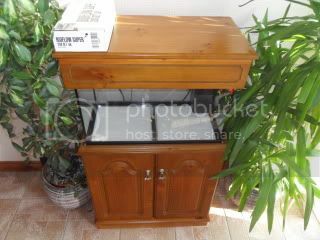 I have already got a wooden stained cabinet on which to site my new aquarium. 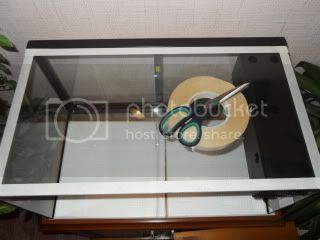 I couldn't get hold of the tank I wanted which would have been a bog standard 24x12x15 Clearseal brand. So after trawling around the country I ended up with a Juwel Rekord 60. The canopy of this all in one kit will be defunct but I'll hang onto it. Whilst A Record 70 would have been a better option, "Yes" you guessed it...No one had any. So with the attitude that it fits the cabinet (admittedly a little short on height) and it will grow plants (hopefully) I made the purchase. So that's about it until tomorrow, I hope to be asking you all a lot of questions, this, coupled with the myriad of books I've amassed on the subject, may just help me on the road to a successful planted aquarium. First and foremost I want to try and keep this as simple as I can. For one I will probably be drawn toward a Low - Med light plan when it comes to layouts of what plants and where to place them. Got me a nice black background sheet stuck on there. 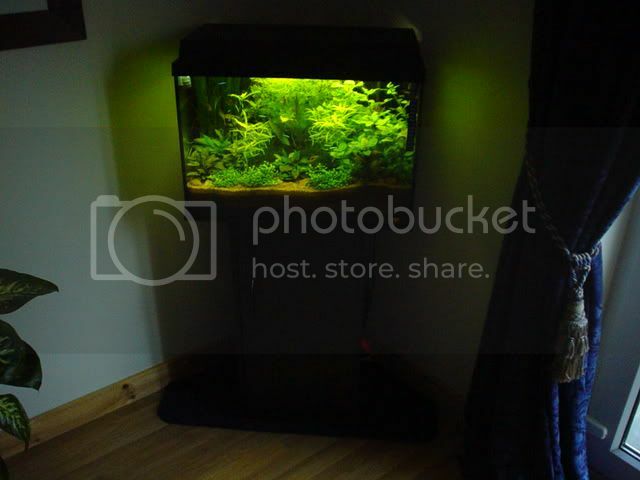 I was going to go for a nice but rather expensive 3D Juwel background of either Root or Stone but seeing as it will almost certainly be covered by plants I decided to just plump for a plain black background. I framed the outside of the aquarium back-wall with double-sided sticky tape and carefully stuck the whole layer into place. The Substrates; I'd forgot how bloomin time consuming gravel washing was! First I laid down a shallow scattering of peat moss. 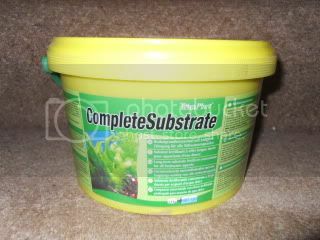 I went ahead and purchased a tub of Tetra Complete Substrate simply because it's the most accessible additive available locally. The Tetra product does need to be capped though, so I had to buy 25kgs of 3mm Dorset gravel. (they didn't have any smaller bags of 3mm). No ADA constituents used there I hear you cry, well as much as I would like to try those out, I simply cant afford the stuff, it would have to come from the UK and postal rates would add to the expense. 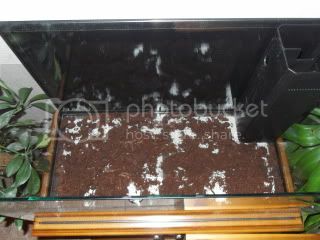 In any case, hopefully the plants will grow in what I have to offer. 2cms of (unwashed) Aquasoil topped off with another 2cms+ of Dorset's finest 3mm Gravel (washed) will form the rooting material for my planted tank. 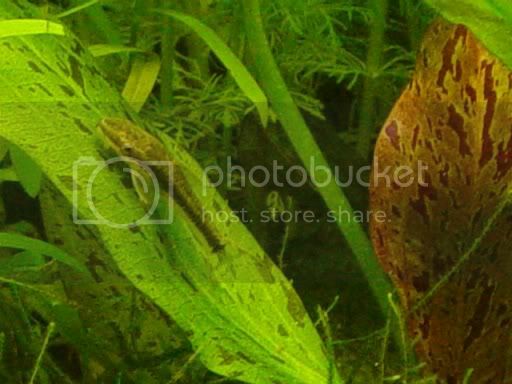 I have aquascaped with the bog-wood but bad lighting and reflections in the hallway is preventing me from getting a good image until this evening. Shortly I will be offering up a planting plan for folks to pick through and maybe help me amend. I will not be rushing this latest project and I will be sourcing most of my CO2 kit from the Far East so it will take a bit of time. By the time you get all that substrate in it eats a lot out of your potential planting choices so Midground, Dwarf varieties and Stem plants seem to be the order of the day, unless you know different. I dont need to worry about light penetration now as there's bound to be enough lumens at soil level. I have been collecting a few bits n bobs recently and I guess I'll need to address this project in a systematic fashion, so I'll start off with the Lighting and progress to other areas as we progress coupled with a splattering of random topic related muses in-between. First off I had to remove the defunct Power Compact rig and cooling fans that was an integral part of my old marine nano. 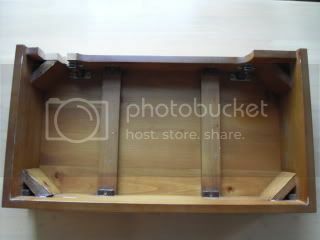 There was a certain amount of salt-water creep damage mainly confined to the hinges but all in all it's not in bad shape. Internals of the canopy now devoid of cooling fans and power compact lighting, remnants from my marine nano. After that job was completed I proceeded to install the reflectors and the light tubes for this venture, I was going to make my own but kind of got lazy and just went ahead and purchased two seeing as my LFS had them in stock at the time. With everything fitted, the canopy was placed back on the tank and with a little tidying up of the wiring everything was complete. An aerial shot of the canopy placed back on the tank and the wiring routed around the perimeter to keep it tidy and out of the way. Not bad so far... but one thing struck me whilst in the middle of performing this task and that was condensation, not a big deal to folks with modern plastic hoods but wood may be a different problem entirely due to warping. 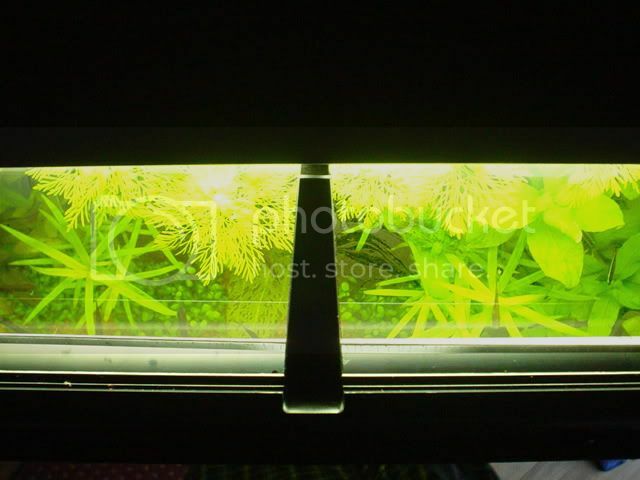 I have always made cover-glasses for all of my tanks and I may have to retro fit some for this, it will be a pain keeping the things clean so as the light will still provide the plants with what they need but I feel it is necessary all the same. I'll need to cut a couple of 4mm float sliding glass covers to combat this aspect. 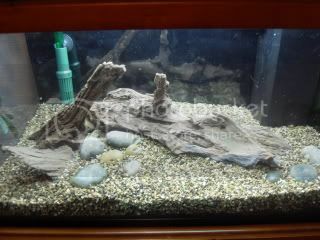 Charging the camera at the moment and will post a frontal image of the tank with all lights blazing later. A personal meditation on "past to present"
Way back in the late eighties when planted aquariums were not the exact science that they are today, I can remember the buzz word back then was "DUPLA" This was all new German technical stuff that none of us aquarists back then had heard off or contemplated. 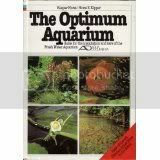 Dupla offered an all new approach and produced all kinds of gizmos and what nots to help you grow aquarium plants all backed up by their bible as it were, a book entitled "The Optimium Aquarium" by Kaspar Horst and Horst E. Kipper. Now at last we had the means at our disposal to maintain our greenery. The kits were expensive back then but you all know what we aquarists are like, we'd sell a kidney for the sake of our hobby. New species of plants were being made available too around about this time and some we take for granted today were exciting new additions back then. Plants like Nymphea lotus and stellata were the top of the tree of the wow factor specimens. Amazing, and if you could get them to flower with all this new kit, you were considered amongst your fellow club members to be the "Daddy"
As with everything time moves on and Dupla were practically superceeded by Dennerle who took aquarium planting and aquascaping one stage further, much more apparatus and cheaper too, some different concepts were also employed, but everything was loosely based on it's forerunner which was the Dupla model. The Aquatic Plant bandwagon was really starting to gather pace at this stage. If I remember correctly, it was always about balance and the sum of the whole helped you to construct a successful planted aquarium. Every aspect from CO2 fertilisation to Sub-soil Heating cables (now considered defunct) contributing to your eventual goal. Most of this philosophy may still stand up today but reading between the lines from our modernistic developments this appears not to be the case or seems that way. We always were cajoled into thinking that lighting and correct spectral balance was the golden chalice if you wanted to have any success at all in this game. Watts per litre, Lumens at substrate level, colour balance were all pre-requisites. The brighter the better. Nowadays I read from the experts and they say to concentrate more on the flow, CO2 and nutrient. Forget about light. The plants will adapt to what is available if low but you don't want to get too high. Today as we all know Takashi Amano is the next big thing in the aqua plant world, producing such stunning aquatic scapes founded on nature itself. Whilst I'm not a great lover of this type of new approach (I like the old Dutch stlye aquariums)I still have to stand in awe of his work. We also see specialist plant growers and suppliers making it easier for the ordinary aquarist to obtain great looking specimens for to include in their planting schemes and schematics. Tropica and Aquafleur spring to mind. All helping to make this great hobby of ours even better. Things have sure come a long way from those early days when, for me at least, Dupla started the ball rolling. And I for one am grateful for these advances. OK with the history lesson dispensed with I moved on to a little hard aqua-scaping. I'm using bog-wood rather than the new redwood or mopani alternatives. Whilst I would agree that the latter wood offers up better shapes I don't want the hassle of having to nail the stuff down to stop it from floating. In any-case normal bog-wood will give me all the scope I need as I wont be going for what I would call a modernistic look. I prefer the Dutch style of old. 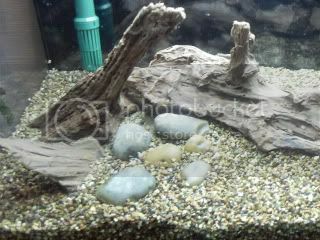 I have added 3 pieces of wood to the scape alongside some river pebbles to try and achieve a natural look. 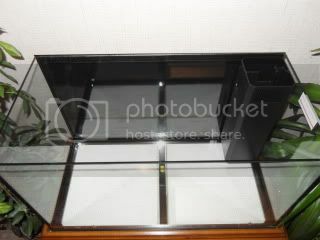 As you will have probably noticed, I've decided to keep the filtration box in this Juwel aquarium to hide all the electrics etc. (plants will cover eventually). The problem I have is that the return from the small power-head within the compartment will only basically throw water in one direction depending on how you place the return pipe. I was also thinking about the flow around the aquarium. 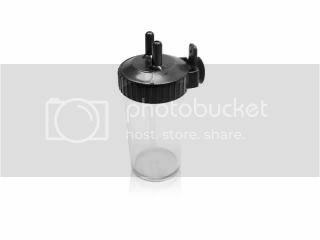 This will consist of the pre-installed filter pump which comes as part of the Rekord kits. The secondary movement will be created by an external Eheim 2217 classic range canister filter. What I have found in my drawer are two of these little items, refugees from my marine nano, but were never used. 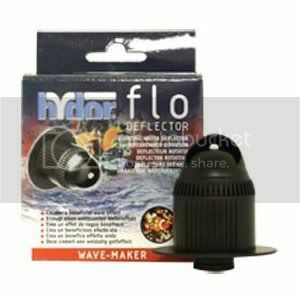 Hydor Flo water deflecting device. 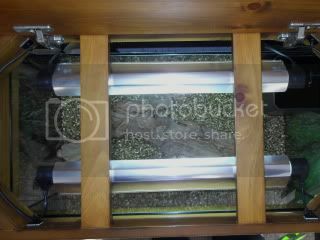 They connect to the outlets of filters and pumps and turn slowly with the speed of the water going through them. I am looking to incorporate these into this tank to help prevent dead areas. The Hydor flow devices come with an array of rubber gaskets to fit all manner of powerhead and filter connections. I managed to join mine straight onto the Juwel powerhead itself, very much sub-surface so hopefully it will provide a good secondary circulatory flow. 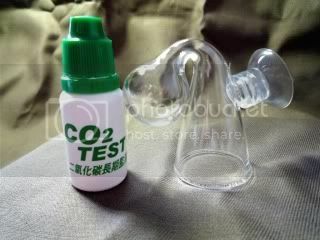 Anyway I'm sending to the Far East for some CO2 apparatus this weekend, I have the bottles filled ready to go. I need a new set of regulators as I gave my old set to a marine guy who was in a spot of bother as his set broke. I will be ordering the following pieces of kit. 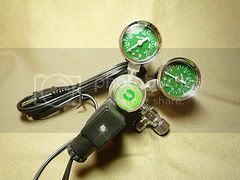 CO2 Regulators with solenoid valve. CO2 12mm inline atomiser for my Eheim 2217 Classic external filter. 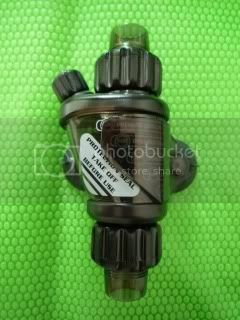 I will also need some metal non return valves and 4dkh solution for the drop checker. Hopefully it wont be too long before they arrive. 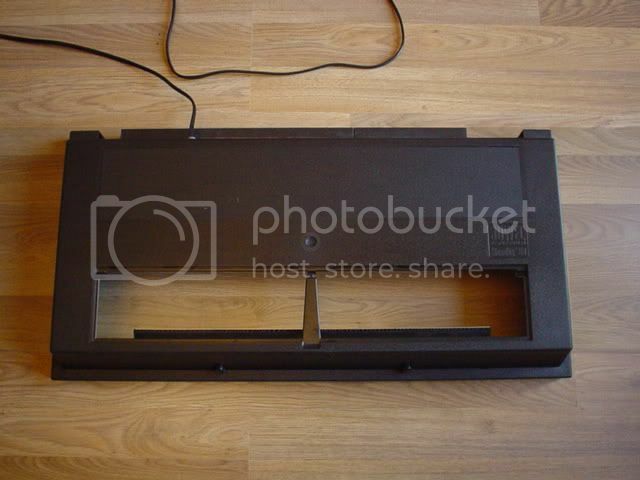 Juwel Rekord 70l Lighting upgrade. This was a thread I wrote many moons ago. 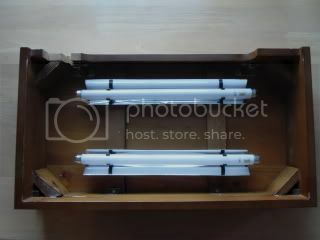 The light tube used was only to illustrate the actual build and validate what could be achieved. 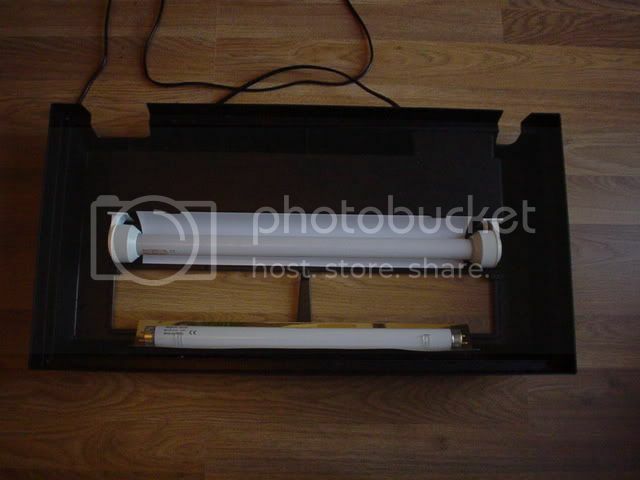 Light tube technology has moved on a pace since this article but the principal would still remain the same for anyone wishing to add more light to a standard Juwel Aquarium canopy, given its constraints. 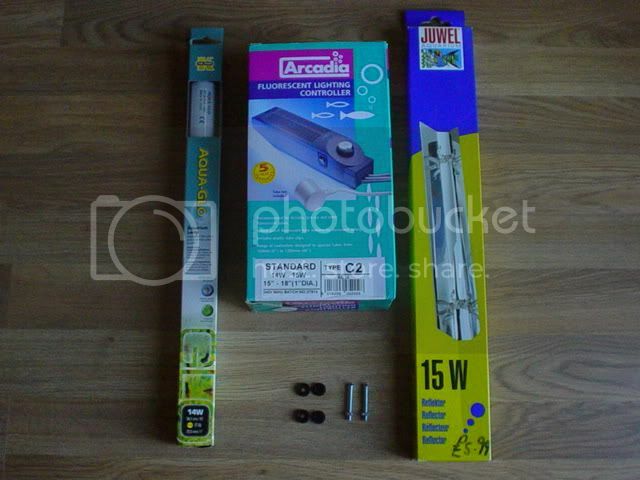 Many Aquarists are familar with the Juwel brand of aquariums, Whilst these are fab kits, with all you need in one box, there is one major drawback with the hood if you want to grow aquatic plants, there is only one tube and not much room for another. Here follows a bit of a walkthrough on how I installed another within the limited space. see picture below.. Unless you want to remove the internal ballast box (messy and unsightly when done), The only room left is at the front, right before the feeding hatch so that choice has virtually already made for us. Here is a picture of all the equipment that you'll need to complete the upgrade. 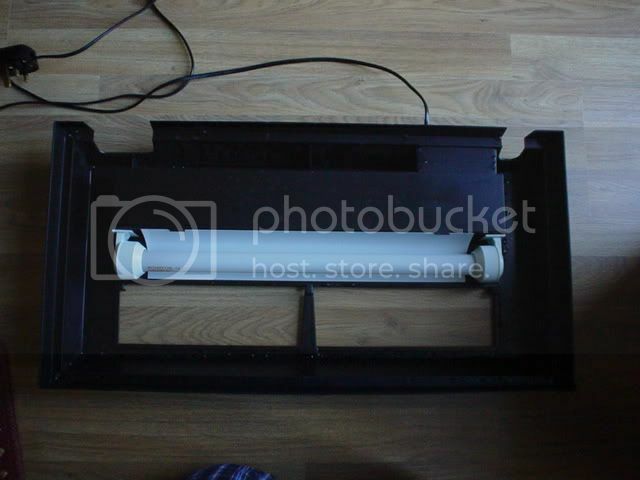 It consists of fluorescent light tube (your choice) starter unit, standard Juwel reflector, 2x thin threaded bolts and 2x black plastic screw-cups with caps. A few tools are also needed and most people will have access to a drill & drill bit, screwdriver and a pair of pliers. I started by carefully drilling two small holes in the reflector at each end, now place the reflector evenly in the front of the hood where you want it to go, using this as a template drill through the hood from the inside out. Now insert the bolts (mine were a bit long and needed to be cut to size, easily done with a junior hacksaw) through the holes in the reflector, through the hood and through your screw cups. Tighten the little nuts,snap the caps over the cups and you almost done. 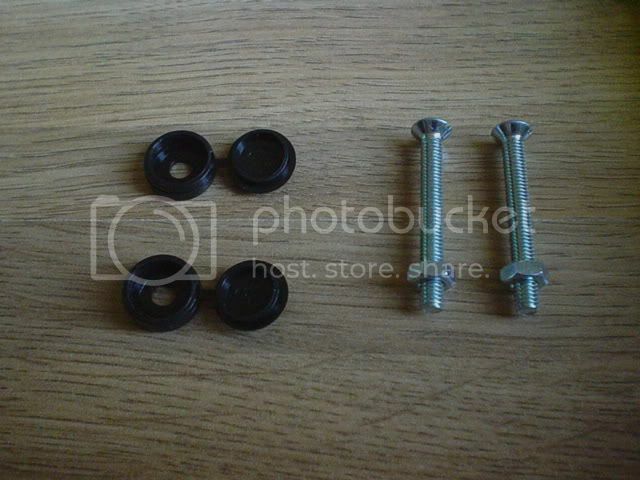 A close-up of the bolts and screw-cups and caps. (available at any DIY store). 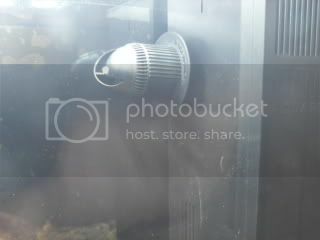 Fit your tube into the clips in the reflector, connect your starter unit to the tube and switch on. Job done!!!! Here is a picture with the new tube inserted.. 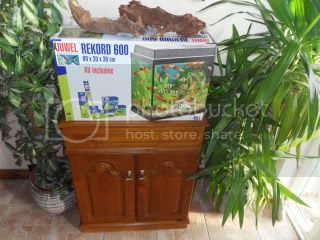 I hope this will be of some help to owners of this type of aquarium setup who wish at some point to grow aquatic plants. 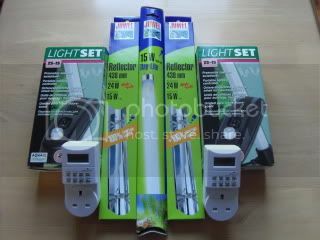 This can be adapted to any of the Juwel range simply by purchasing the correct length of reflector. The whole project cost under £30. Any comments, queries or additional useful info will be greatly appreciated. Constructing a DIY CO2 system with night-time shutoff, pressure safety valve and 100% efficient CO2 reactor. 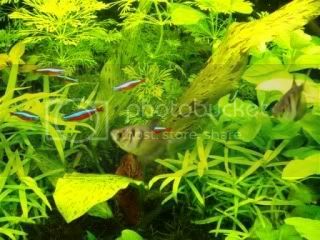 Not long after getting my first fish tank (a small 75L tropical setup) I began to see pictures of amazing planted aquariums, full of life, colour and interest. If you are anything like me, I’m sure you know the ones I mean, and have been equally amazed and inspired by these beautiful creations. Well, it quickly became my desire to create and maintain my own heavily planted aquarium, and after some success with a low-tech setup (low light levels, no CO2 and no substrate) I decided to upgrade to a high-tech setup. The lighting and substrate were easy enough to buy and install, but the CO2 presented quite a big problem – namely the cost! I had recently upgraded to a 180L tank and was on a shoe string budget, so I knew that the option of installing a pressurised CO2 system with gas tank, solenoid night time shut off, and pressure regulator was right out the window! What looks duller than a bare aquarium with all the technical equipment visible? You've indeed guessed it right, nothing! 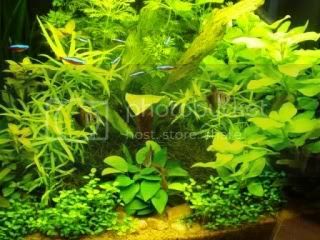 What can we do then to build our own decently aquascaped tank? We could make a small effort and paint the back (of course on the outside) of the aquarium light blue, making the tank more realistic! 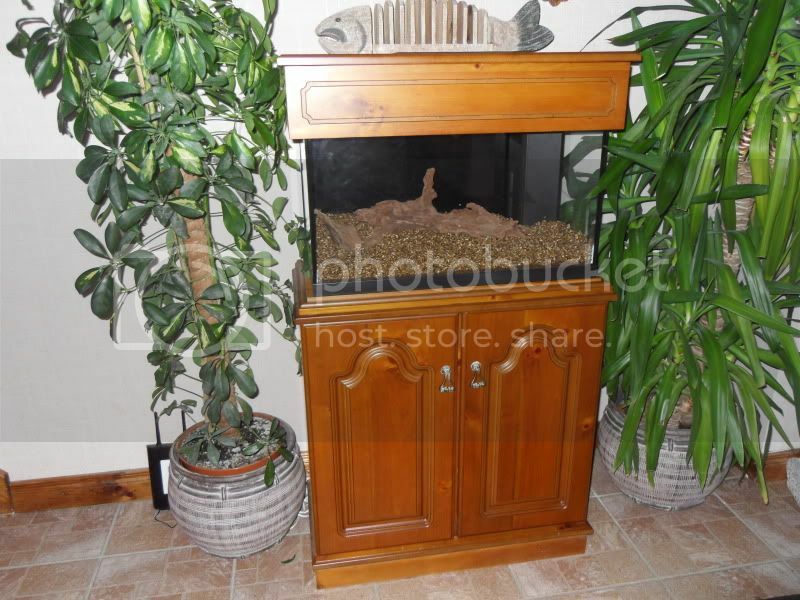 The disadvantage is that this makes the tank look like an ordinary commercial shop tank. Dark (grey-brown) paint is one step further in the good direction, but we still have a square/rectangular/bow fronted watertight container.